You are currently browsing the Collector Model blog archives for December, 2010. Round 2 Models: Tribbles and Werewolves and Tractor-Trailers, Oh My! 2010 has been quite a year here at Round 2 Models. Let’s hit the high points: K-7 Space Station, Clear Enterprise D, 1:2500 scale Enterprises, and let’s not forget a BRAND NEW 1:1000 Enterprise Refit! Then there are the Glo-Heads, Batcycle, Batboat and classic BATMOBILE, not to mention the Munsters Tin Edition including the long out of production Drag-U-La! The NEW 2009/2010 Corvette kits and our four ALL NEW NASCAR COT kits showed the car guys we DO INDEED tool new automotive subject matter. This was the first full year where we’ve had more than one person solely dedicated to the model kit line. Up until this year, John had been handling the car stuff 100% by himself but he also pitched in on other products like our line of Auto World slot cars. Bob and I would tag team on sci-fi and pop culture stuff while also working on our Forever Fun line of holiday products. Early this year, we brought Chuck Z. onboard to help John out with the automotive kits and I phased out of Forever Fun to concentrate on the sci-fi kit development. Bob still pitched in considerably, handling the bigger chunk of packaging for the sci-fi models. It has been a difficult transition. We had to figure out who was best to handle what. Some of us had to take responsibility for big picture planning while others had to give up aspects of the product they had hoped to do themselves. (We would probably each do it all ourselves if we had our own way.) As we’ve worked through the year, we’ve settled in on our responsibilities. The happy result is we now know what we are capable of. 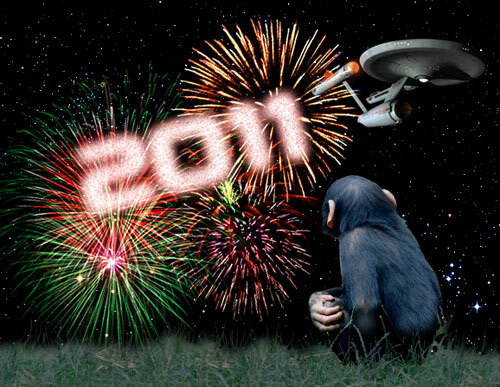 We know when too much is too much and we’ve adjusted our plans for 2011 accordingly. Now, knowing how the business goes, I would hesitate to promise that we’d hit every ship date on the nose next year. I will say, however, we are in a much better position this year than last, to be able to do exponentially better. There is a lot to look forward to next year… like stuff that should have been out this year (gulp!). Speaking to the sci-fi side of things, pretty much all of the Star Trek kits that were supposed to be out way back in September and November are on the water now. They should hit our warehouse mid-January and store shelves by February 1st. The MPC Pilgrim Observer should be here at the end of February. 2011 product will follow in March and April with Spider-Man, KISS Gene Simmons and Dark Shadows Barnabas. The 1966 Batmobile snap kit will come after that, at long last. Mid-year brings back the Leif Ericson, Klingon Battle Cruiser, Captain America and more.